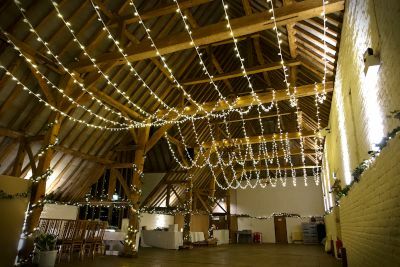 We took yet another trip to the wonderful Ufton Court in Berkshire to install some lighting for a large wedding in the gorgeous Tithe Barn! Easily one of our favourite wedding venues, the high oak beams and whitewashed walls in the Tithe Barn provide so many opportunities to decorate with lighting. 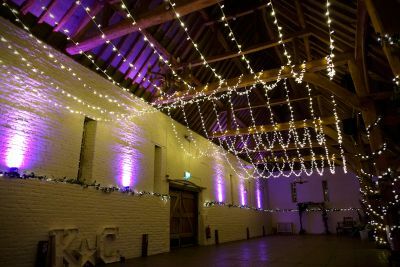 This time we were asked to install our multi-swag fairy light canopy with uplighting - a fantastic combo in this large space which comes with a simple controller to easily change the lighting to suit the mood throughout the day. 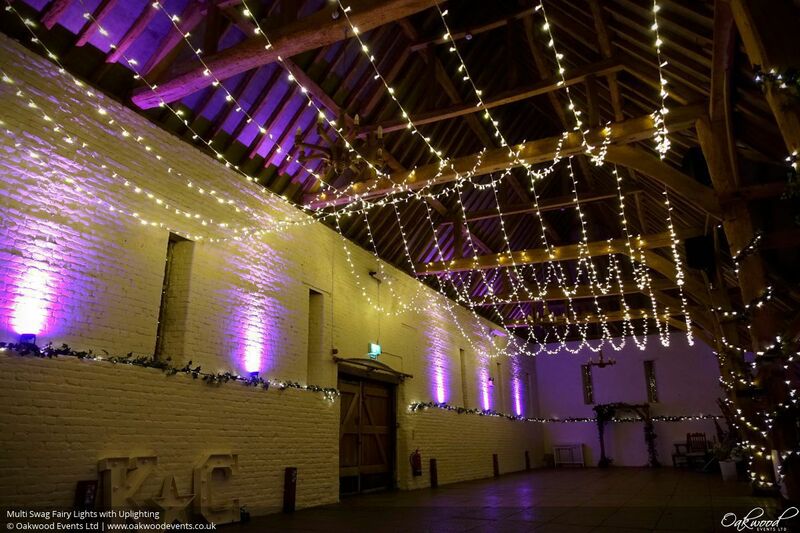 The fairy lights can be dimmed as needed and the LED uplighters can be dimmed and set to a specific colour (both bold and pastel shades are available) or a colour-changing sequence for the evening party. We love the way the fairy lights create a wow-factor look while lowering the visual ceiling for a more cosy atmosphere. For lots more ideas for Ufton Court, why not have a look at our Ufton Court lighting page?